Jesus, are you near me? Will you walk beside me? Will there be an ending? To all of my suffering? It doesn't feel normal to sing these words on a Sunday morning. However, I wrote this because there are times this is the position of my heart and as I look at the Psalms, I see and find comfort in the fact that it is the position of the heart of the Psalmists at times. 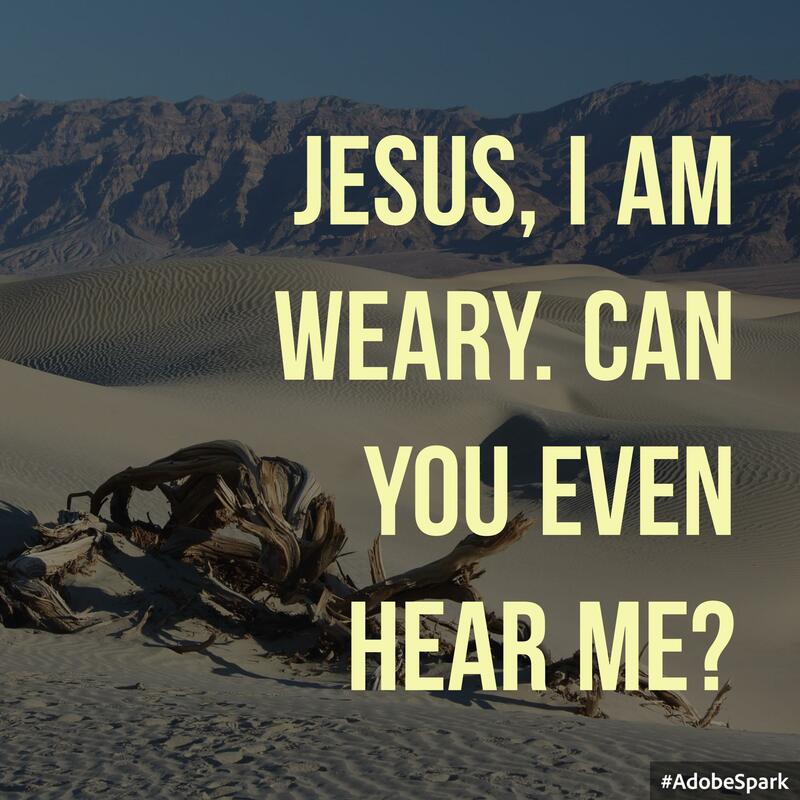 It is comforting to know that the weariness that I experience, the feeling of Jesus not even listening to my cries has been experienced by others who have been on this same journey of seeking God in the midst of dry and weary lives. I wondered if others are experiencing this sort of loneliness? If others feel as though God has abandoned them and shut His ears to their cries? After a few conversations it became evident that others had felt, or were feeling this way and so we added it to our set list for Sunday. After we sang these words, we moved into the chorus, "Hallelujah, All I have is Christ. Halleluja, Jesus is my life." In the midst of loneliness, depression, anxiety, it can feel overwhelming. It can feel that Jesus is not near you, that he isn't mediating for you, but the reality is, as we see in the Psalms, that God is still near us, that he does hear us and that in the end, all we really have, and need, is Christ. It is comforting to knowthat God remains faithful, even through the difficulties of this life, which are very real and near to us. As we continue to look at the Psalms, Pastor Scott will unpack the narrative behind the book of Psalms and point us to the faithful one who even in the midst of our suffering and lament is present. As many of us ask these very same questions, the answer is always yes, Jesus does hear you, he is near to you and he will never abandon you.